July has seen the first two competitions of The Traditional Youth Marching Bands Association (TYMBA) 2018 season. 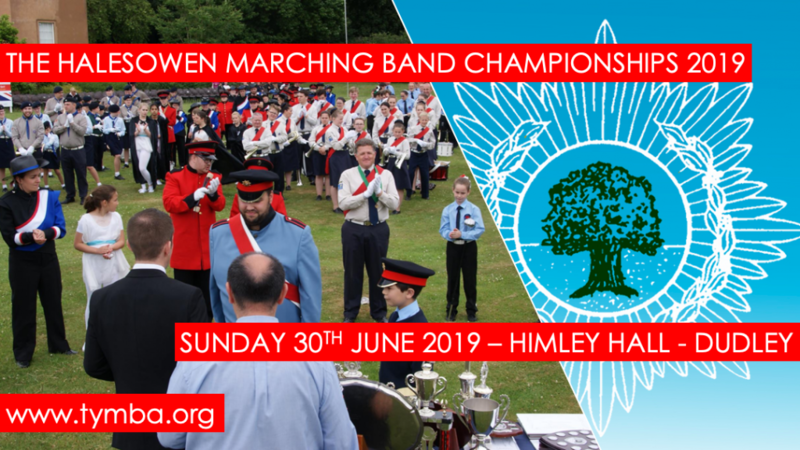 On Sunday 1st July, bands took to the arena at Dudley’s Himley Hall for the 29th Halesowen Marching Band Championships as part Armed Forces Day. In the Contest Class, local unit Marching Band of St Gregory’s took part in their first ever competition but won the class with Spen Valley Scout and Guide Band and Grafton District Scout Band also putting on well-rehearsed displays. 10th Leicester 1st Syston Scout and Guide Band started their season as Championship Class winners and Alderley District Scout Band lifting the National Class winners trophy. Seven days later, bands were back in action at the Summer Rhythm Competition in Corby, run jointly with British Youth Band Association (BYBA). The heatwave which created an additional challenge at Himley Hall was still around for the next event as Syston once again lifted the Championship Class trophy with 3rd Davyhulme Scout and Guide Band close behind. At both events the Comets Performance Ensemble took part in TYMBA’s open class, being award Silver Awards in both competitions. Summer Rhythm also saw a trial March and Show Parade competitions with Hertfordshire Showband gaining a Silver and Gold award respectively. TYMBA members Thurmaston Marching Brass also took part in the March competition gaining a bronze for their routine. Andy Downton, Chairman of TYMBA, said: “Our young members competed in what were some very challenging conditions at both events, and all did themselves proud!